New drugs seem to become popular almost overnight. They are quickly distributed and gain a stronghold before mainstream society even realizes what is occurring. Bath Salts are one such drug that has been in and out of the media, however, there are always new bath salts produced and in circulation, such as Flakka. These new combinations of bath salts that are rapidly circulated can have a devastating effect on anyone who uses them. Flakka has been assumed to be many things, such as various mixes of drugs. In reality, Flakka is a synthetic compound known as bath salts. As the composition of chemicals used to make bath salts changes often, this is a more recent version. Bath salts are psychoactive drugs that have a relation to a much a compounds known as cathinone. A Cathinone derivative or synthetic cathinone is present in bath salts. Cathinone is a naturally occurring substance found in a plant known as “khat” and has a simpler chemical makeup to amphetamines. Cathinone is the main ingredient in the plant that produces a stimulant effect, as well as a euphoric effect. It causes dopamine to be released and keeps serotonin, adrenaline, and norepinephrine from being reabsorbed by their neurotransmitters. It also possesses properties similar to hallucinogens, such as ecstasy. The official name of Flakka is alpha-pyrrolidinopentiophenone or alpha-PVP. Flakka provides users with a psychoactive experience. They also provide a user with more energy, feelings of being able to concentrate, sexual stimulation, and ecstasy. These feelings are common of all bath salts. Bath salts can be eaten, smoked, snorted, or injected. Paranoia is often intense, and the individual is often sedated so that others (including medical professionals) can help them. Those who are distressed may also enter into a state of excited delirium. This can be fatal to the user. Excited delirium is a state in which the distressed individual attempts to break from their restraints, shrieks and thrashes, and may experience seizures. All of this struggling can raise body temperature and exhaust muscles. This in turn results in other physiological issues such as dehydration and breakdown of muscle tissue. When this tissue breaks down, proteins and other matter are discharged into the blood. This places additional stress on the kidneys, which may then fail resulting in further complications. Furthermore, destruction of the liver, heart, and brain may also occur. Bath salts can also result in the user becoming quite violent and a danger to themselves and others. Overall, bath salts can be highly addictive due to the drugs or compounds contained in them and are unaccepted for use. Therefore, they are considered illegal. The addiction to flakka or bath salts can be physical, psychological, and physiological. Bath salts are sold a wide variety of places from the street to convenience stores, though they are illegal. Bath salts use disorder is defined as a damaging cycle of drug use resulting in stress, issues with tolerance and withdrawal, as well as significant impairment at work, home, or with regard to commitments and responsibilities. Their continued use affects their responsibilities at work, school, or home. The addiction affects their social life or relationships. There are signs of increasing tolerance. 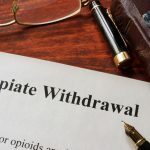 Withdrawal can occur when not using them. A lot of time is spent looking for bath salts. If two of these symptoms are present and an individual is using bath salts, then a diagnosis may be made. In diagnosis, practitioners have to decipher between previously existing mental health conditions if present and mental health conditions that have occurred as a result of bath salts. Like other drugs, bath salts are extremely detrimental to individuals with mental health issues, as they can exacerbate them or even cause more mental health issues. Bath salts addiction would be treated much the same way as other drugs. A preliminary evaluation is necessary to evaluate the individual. Often, a medical detox will be needed to rid the system of drugs or residual components and to manage withdrawals. Depending on the severity of the psychological dependence and individual autonomy, rehab treatment may be needed. There, an individual will receive around the clock care or high level monitoring of their psychological state and needs. Flakka and other bath salts are extremely dangerous and should be regarded as such. If you or someone that you know is struggling with substance abuse, do not hesitate to seek help! Northeast Addictions Treatment Center is a Drug and Alcohol Addiction Treatment Center in Quincy, Massachusetts. Our team has been helping individuals with Drug or Alcohol Addiction live a life of Recovery since 2016. The mission of Northeast Addictions Treatment Center is to provide the best continuum of care for not only adult men and women struggling with addiction, but also their families. NEATC will always strive to offer the highest quality of care in the Northeast region, while priding itself on a foundation of integrity, transparency, and compassion. © 2019 Northeast Addictions Treatment Center. All Rights Reserved.